This month’s issue of Newtype magazine comes with an appendix cellebrating the 25th anniversary of Five Stars Stories (also known as Five Stars Monogatari). The appendix is entitled F.S.S. 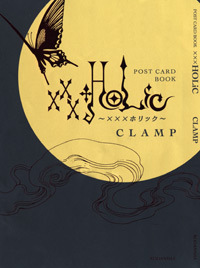 25th Anniversary SPECIAL ISSUE and will have illustrations from several guest artists, including CLAMP. 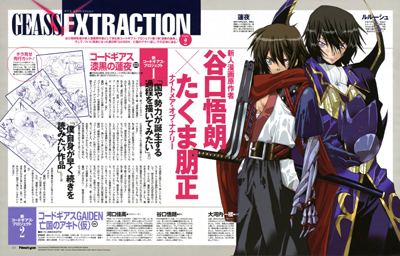 This month’s issue of Newtype magazine goes on sale today. 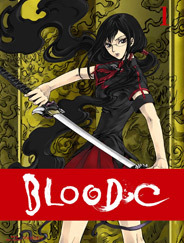 The image features characters Hyuga Akito, who works for EU army, and his boss, Layla. 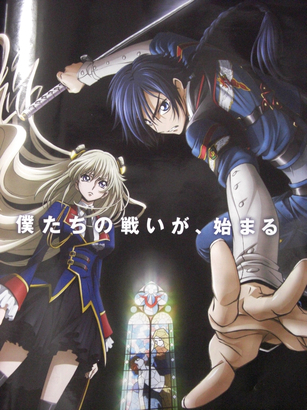 More info can be found at this Code Geass community. 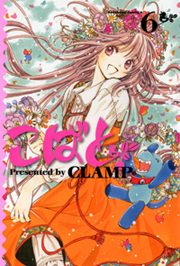 CLAMP is once again in charge for drawing the character designs concepts for the project. Less than a month away for the official start of GATE7, the official website of JUMP SQ magazine informs that the first chapter will have 43 pages with color page(s). 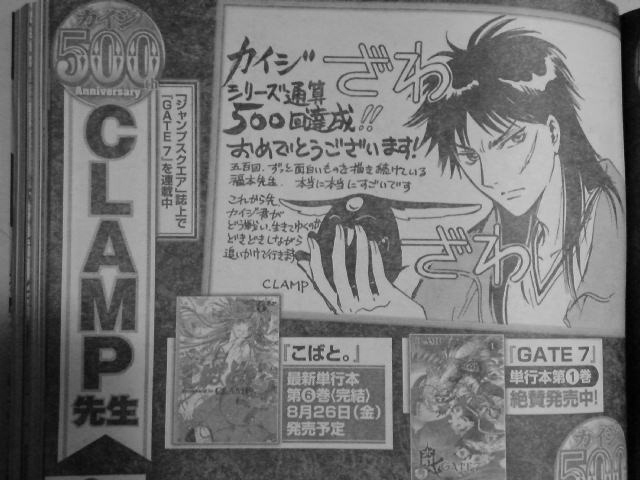 Plus, GATE7 will feature the magazine’s cover and an original good will be given away to 500 readers to celebrate the beginning of the serialization (more details on the next JUMP SQ issue). It starts in the next issue of JUMP SQ, on sale February 4! Here is the new Kobato. 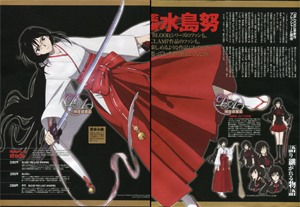 illustration that CLAMP drew for Newtype‘s 2011 calendar. The calendar comes as an appendix of this month’s issue of the magazine. 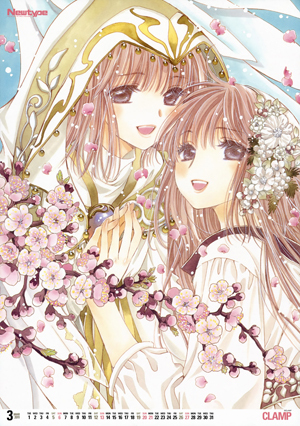 Special thanks to cutesherry for finding the illustration (which was originally posted at animepaper). According to this blogger, the Kobato. manga is getting an increase in number of pages per chapter in Newtype magazine starting from the current issue. This month’s Kobato. 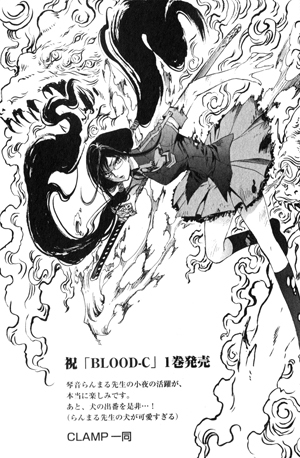 chapter had 24 pages instead of the usual 14. Future chapters will follow the new page count. That’s great news! Apparently our prays have been heard! 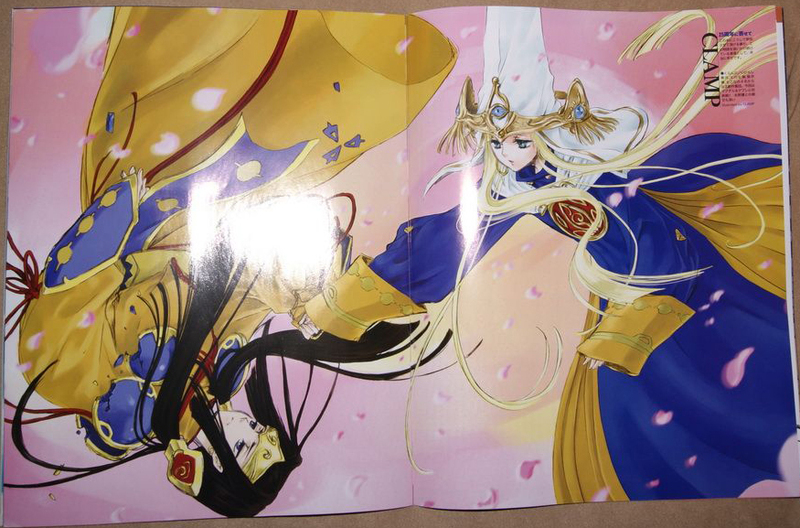 =D I’m very happy that Newtype allowed a few more pages for CLAMP (Kobato. needed it). Hopefully this will mean quicker tankoubon releases and provide a better development to the story.